What makes MetGuard so superior? 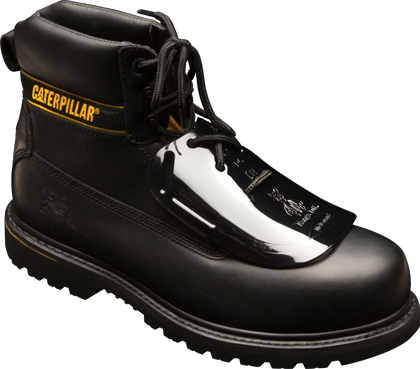 Metatarsal foot protection that fits all safety toe work boots. Years of design engineering and testing using various materials has produced the most superior metatarsal foot protection device. This Patented technology and materials used for the metguard make it a lightweight comfortable upper foot protection device that has been designed to fit all types of safety toe footwear. Tested to worldwide metatarsal impact resistance standards, the MetGuard has become the first choice in the work place for the prevention and protection of employees metatarsal region of the foot. Sign up to our Newsletter to receive the latest information on upper foot protection. The METGUARD is available from distributors all over the globe. Contact IMPACTO for local distributor in your area.